Tonight, I’m cooking up restaurant style pasta. 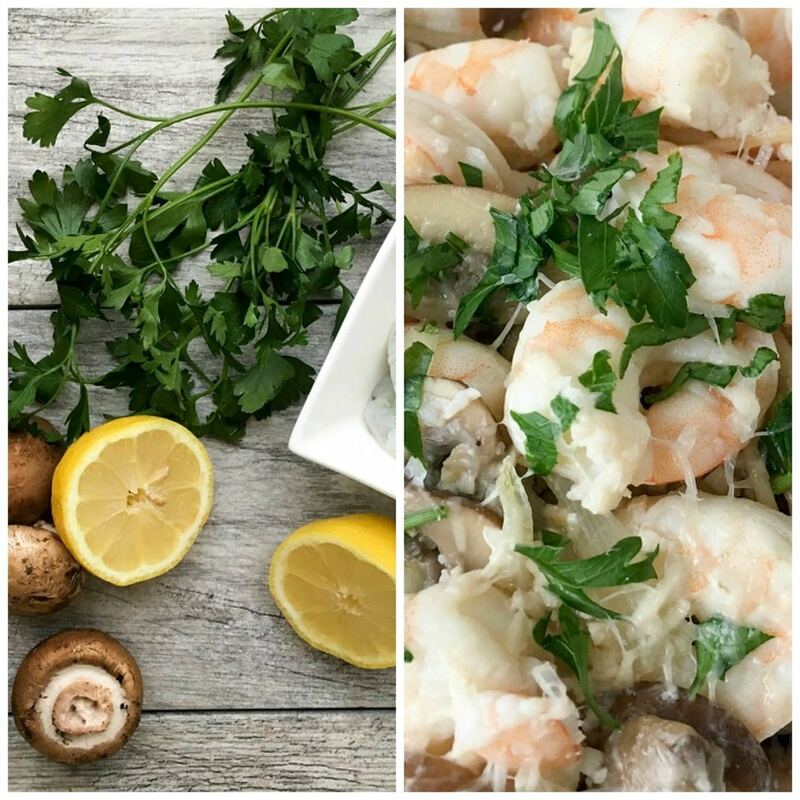 This White Wine Lemon Garlic Shrimp Pasta is quick and easy I promise. It’s been a busy day with school, work, extracurricular activities, you name it, so I’ve decided to dish up this Italian style dinner in the comfort of my own home. It’s simple and doesn’t require much work except for de-veining the shrimp. However, once you get a rhythm going, it goes quickly. Before you know it, you’ll have a bowl of de-veined shrimp right before your eyes. If you’re pressed for time, have the wife, hubby, or one of the older kids tackle this job. 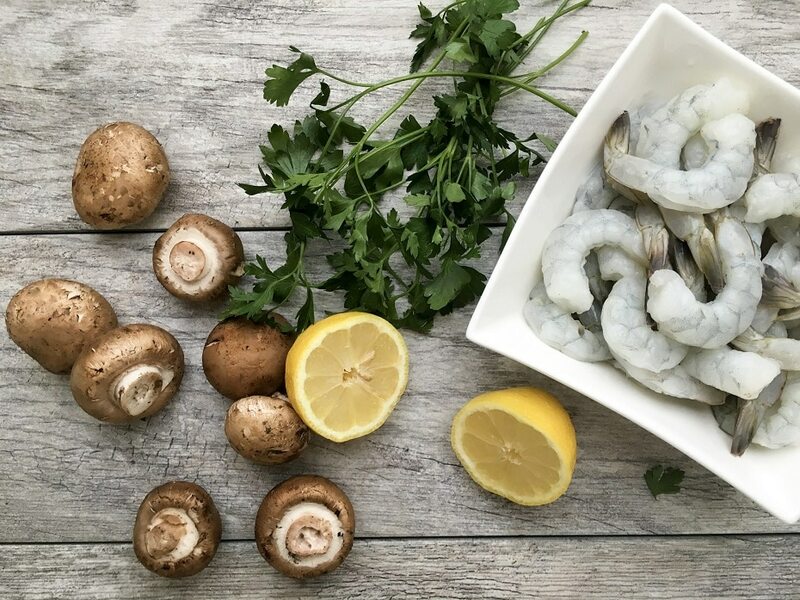 While the water is boiling for the pasta, you can prep the other ingredients such as mincing the garlic, slicing the mushroom, and cutting the lemon. Your work is almost done. 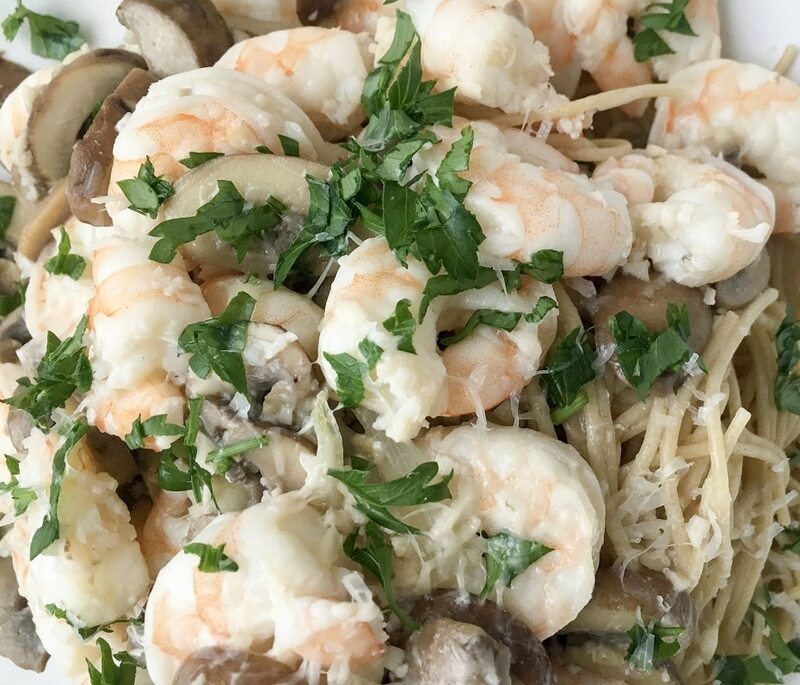 This White Wine Lemon Garlic Shrimp Pasta has so many benefits. It’s healthy, requires only a few ingredients, economical, uses only 1 skillet and 1 pot, and the clean-up is easy. You can’t beat that. Now, you can focus you’re evening on what really matters, for example, relaxing, spending quality time with your family, going for a walk, reading a good book or whatever suits your fancy. I gave the sauce a swirl and let it simmer. I added those beautiful shrimp and after a few minutes I tossed in the cooked pasta. For best results, I let the pasta sit for a few minutes to allow the pasta to absorb the flavors from the sauce. Restaurant style White Wine Lemon Garlic Shrimp Pasta ready in 15 minutes at home. 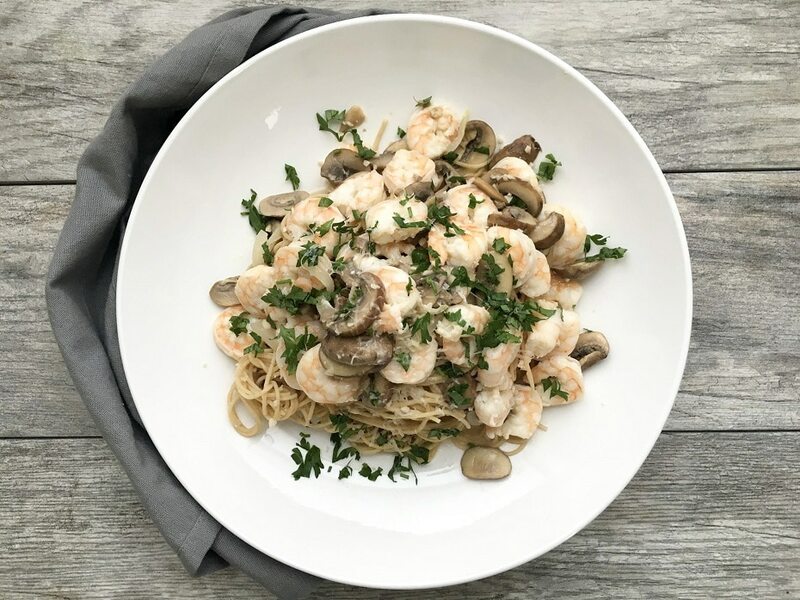 A perfect take on a delicious restaurant style White Wine Lemon Garlic Shrimp Pasta made at home in under 20 mins. Boil water and prepare pasta as instructed on package. In a skillet or saute pan, heat olive oil over medium heat and begin sauteing the garlic and mushroom until fragrant and mushrooms soften about 4 minutes. Add white wine and simmer until alcohol burns off about 3-4 minutes. Then add freshly squeezed lemon juice, salt and pepper and continue simmering for an additional 3-4 minutes. Add shrimp and cook until shrimp turns opaque (pink) about 4 minutes. Add pasta, stir and allow pasta to soak up some of the sauce. 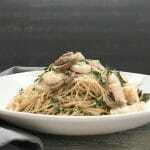 Serve by spooning more sauce over the top, garnish with parsley and fresh grated parmesan. Enjoy with a green salad if you'd like.